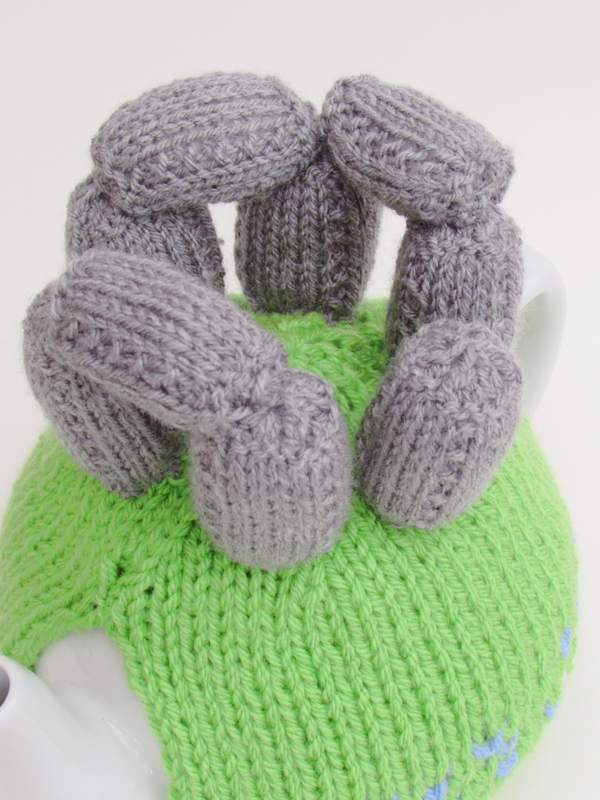 The Summer Solstice tea cosy is based on Stonehenge. 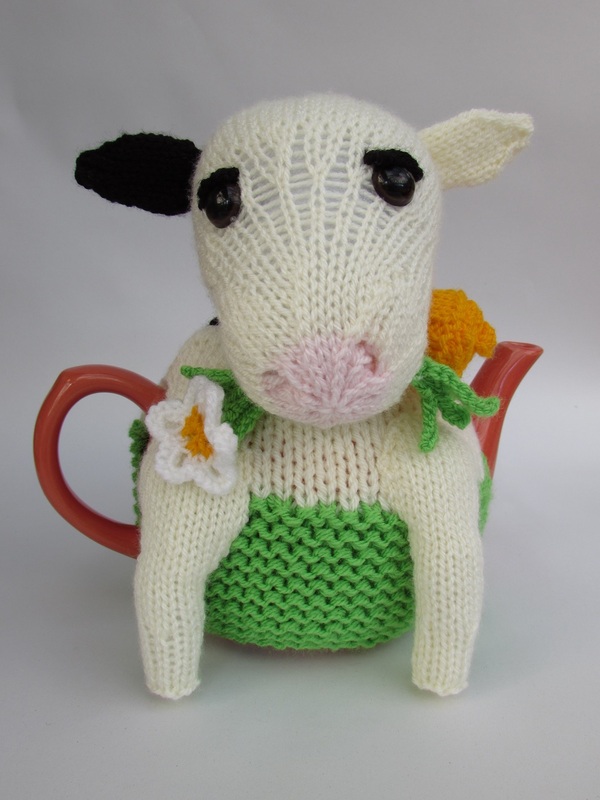 I have always wanted to see the Summer Solstice at Stonehenge but, I haven't managed it. 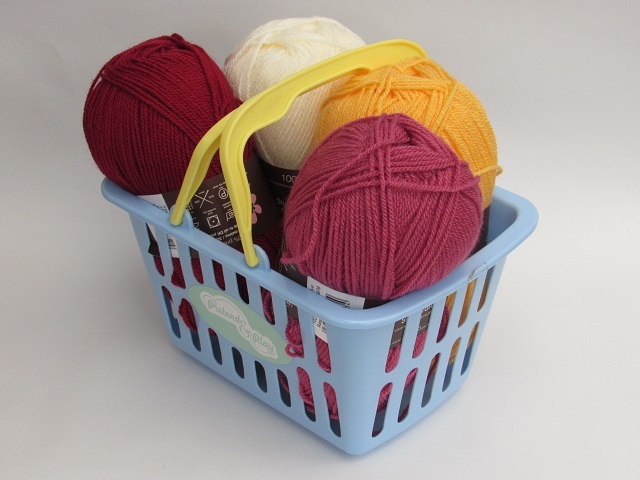 I was inspired by Stonehenge after a visit last year. 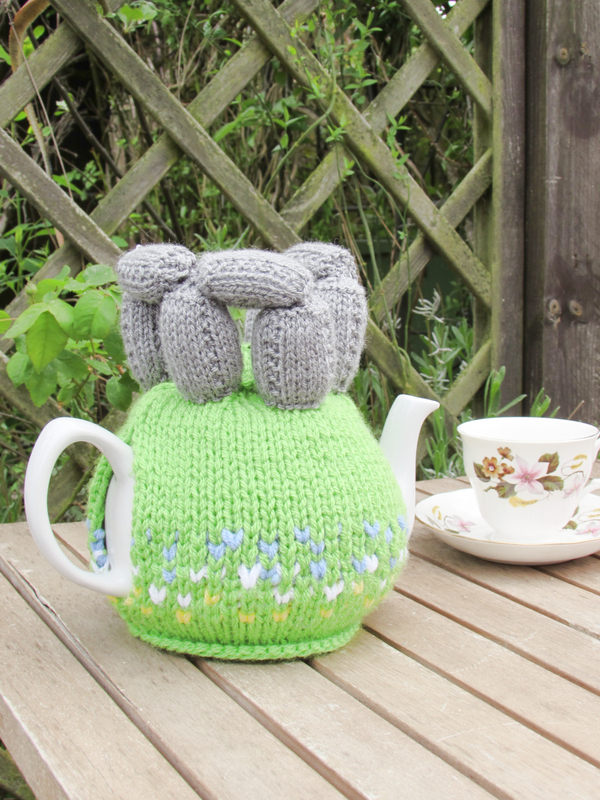 The mystery that surrounds them and the magical scenic views are amazing, and I wanted to create a tea cosy celebrating the stones and the Summer Solstice. 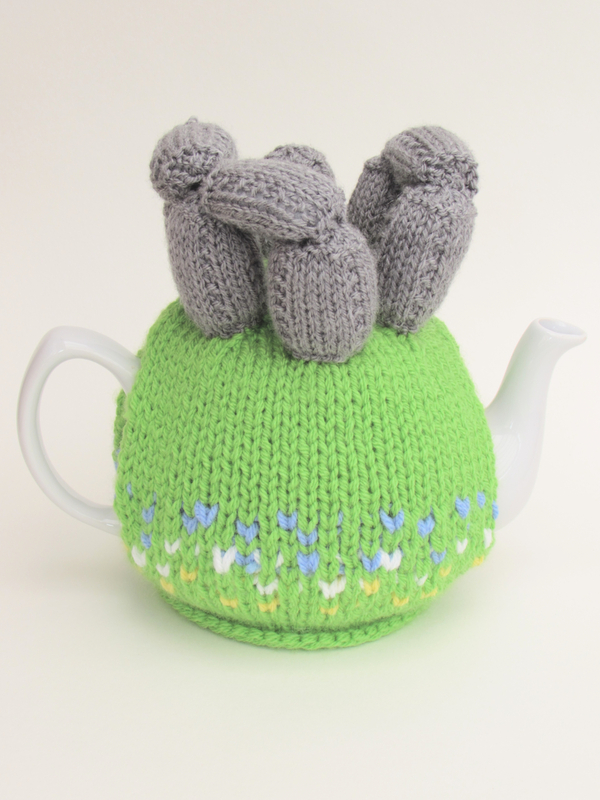 The Summer Solstice tea cosy is a simple tea cosy with a grassy meadow, dotted with wild flowers. 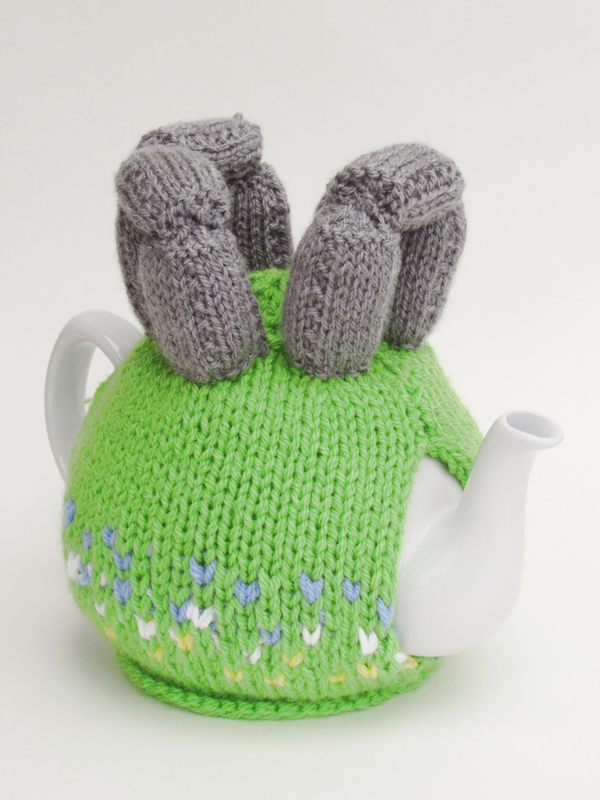 Adorning the top of the tea cosy are a few standing stones to represent Stonehenge. 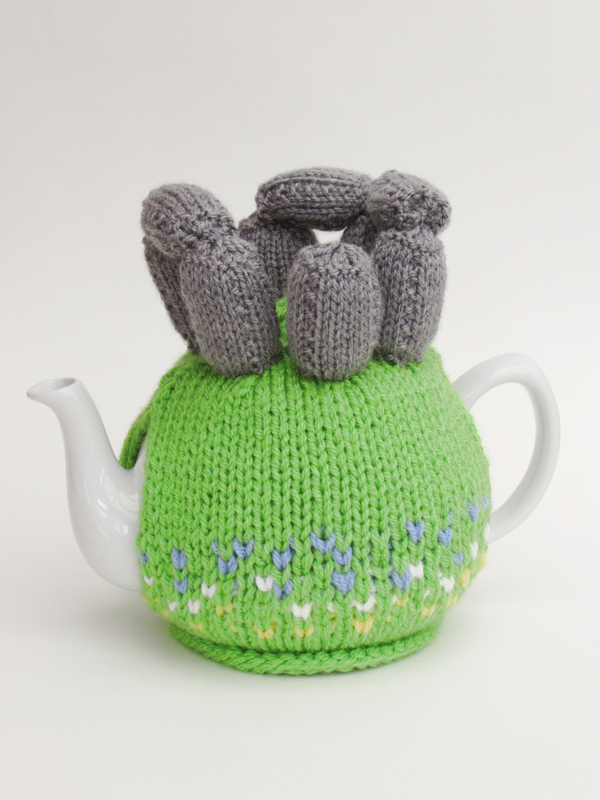 A teapot is too small to replicate all the stones, so I have added a handful of stones to give the impression of the henge. I like the way that Stonehenge has a few upright stones connected at the top to look like arches and doorways, and I wanted to include that into the design. 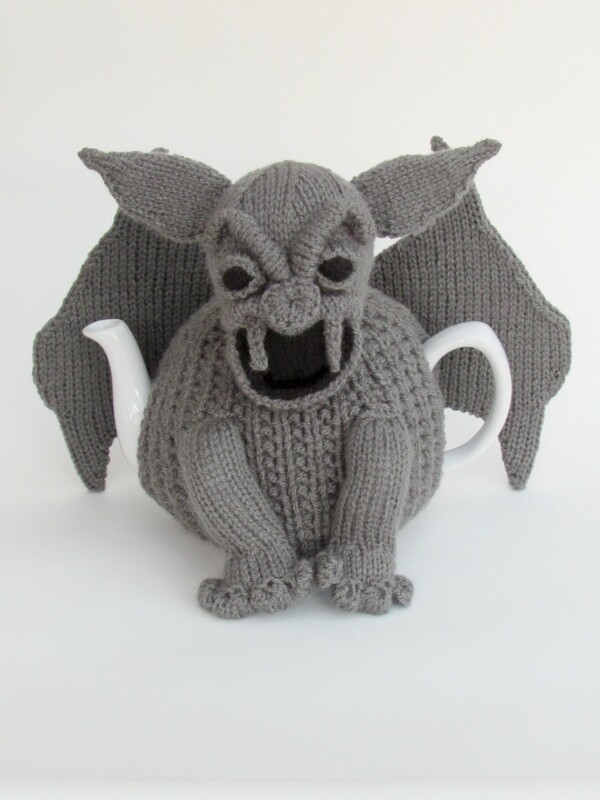 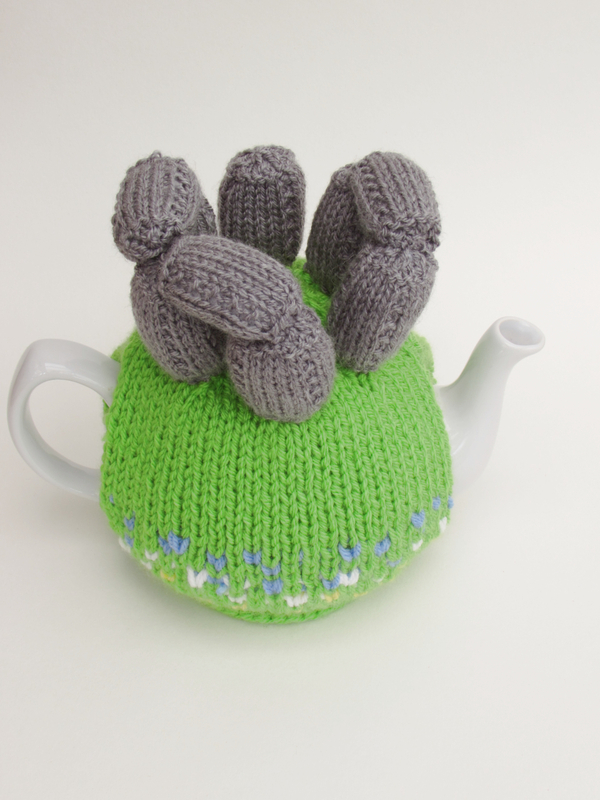 I also like that the tea cosy has a calming feel to it. 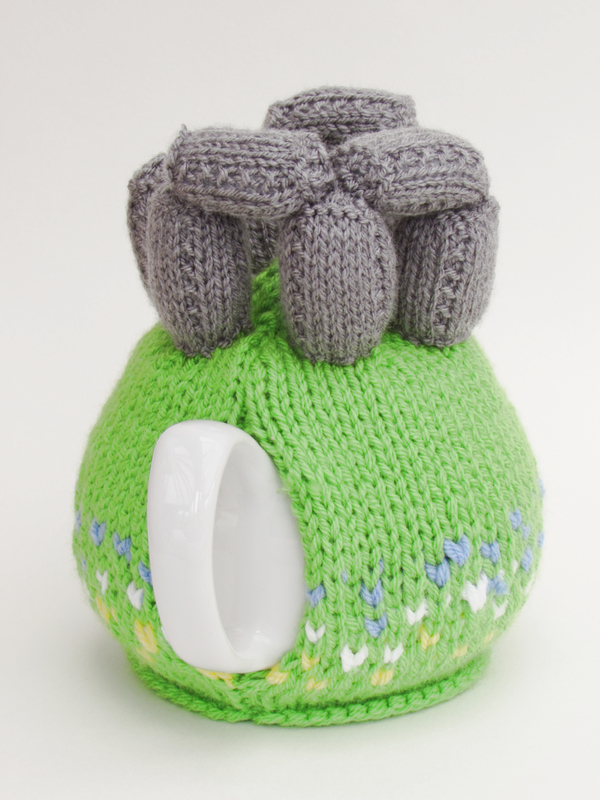 Maybe the Stonehenge tea cosy has captured some of the spirituality of the site? 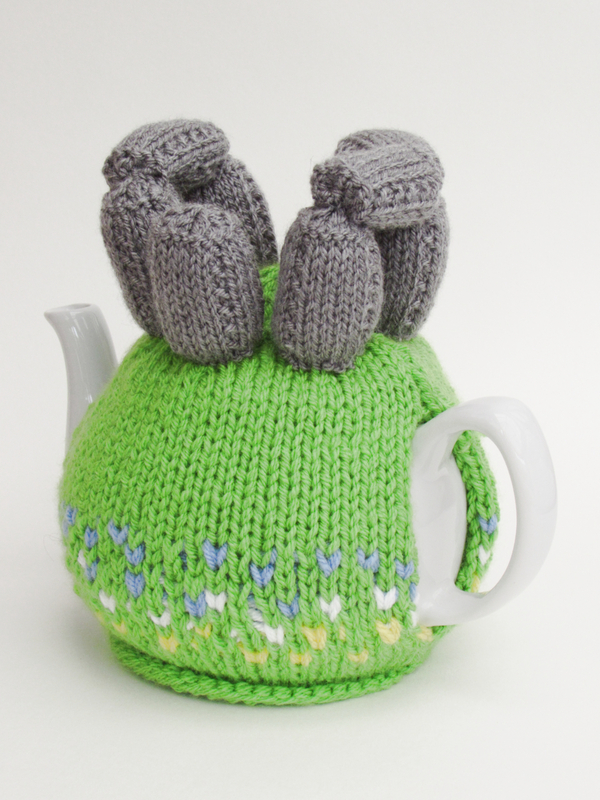 The floral part of the main tea cosy is knitted with a short intarsia knitting chart of 8 rows. 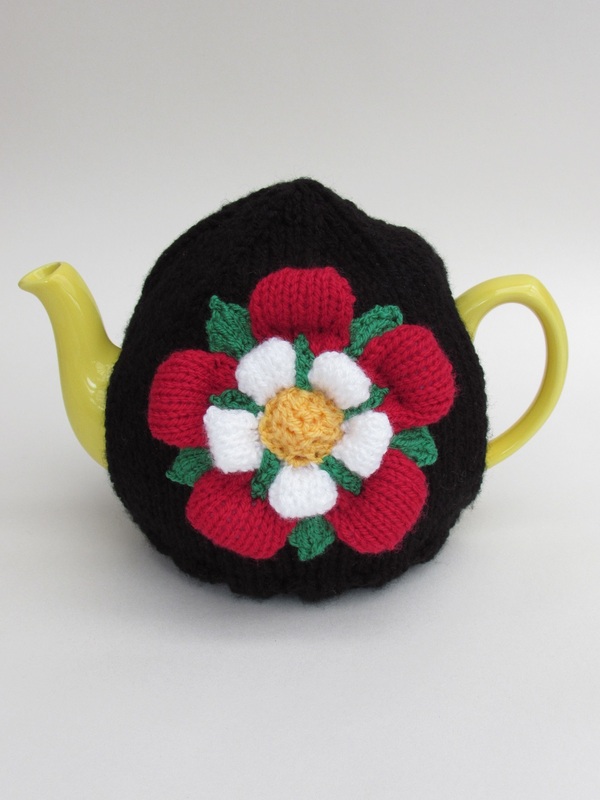 If you don't feel confident with intarsia, you could swiss darn the flowers on or sew on flower shaped buttons. 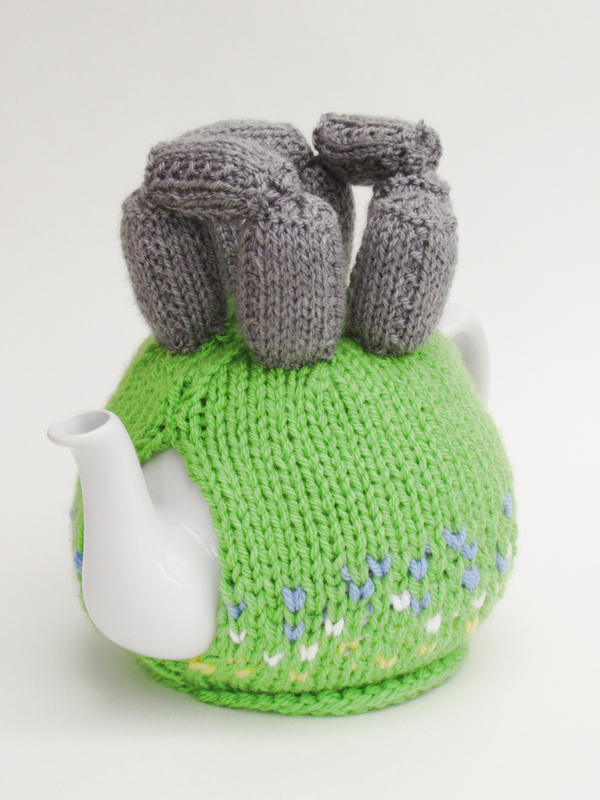 The tea cosy would be a perfect memento for people who have visited and fell in love with the ancient stones, or for Pagans, Druids, spiritual seekers or just for people like me who'd love to be at the real Stonehenge to see the Summer Solstice, but never seem to manage it. 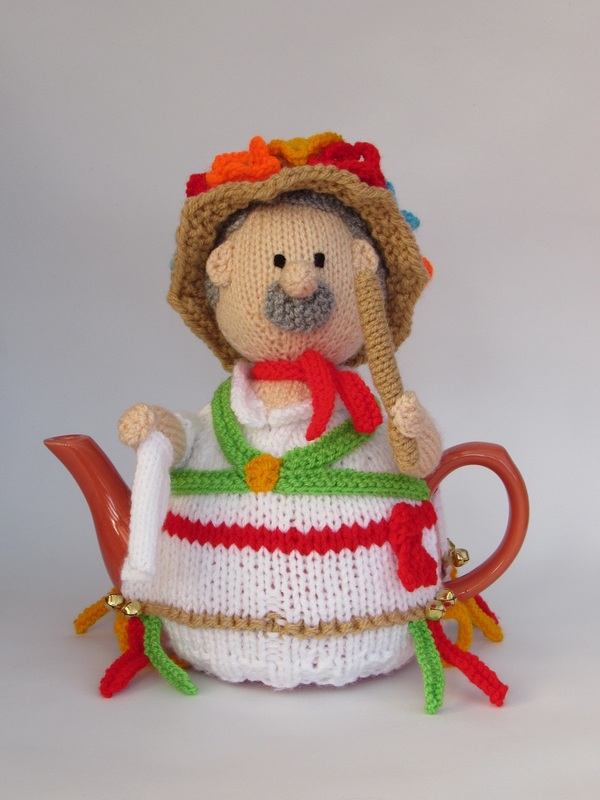 Salute the summer sun with your teapot raised high.